About Us - northstaffsanglogermanclub's JimdoPage! 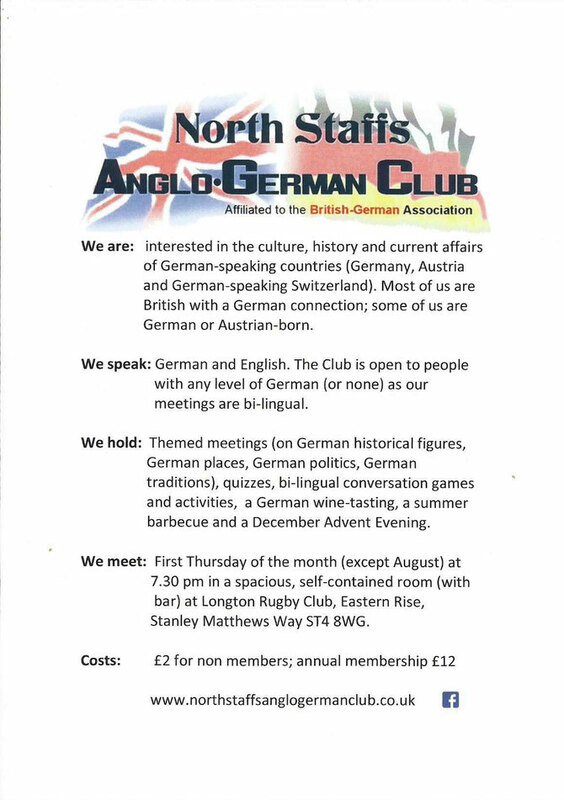 Once a month, on the 1st Thursday at 7.30pm, a group of native German speakers meets with local people from Stoke, Newcastle, Stafford, Stone, Uttoxeter, Crewe and Nantwich. We meet in the Phoenix Suite. You can contact us through our Facebook site - please 'like' us! We also have a Twitter account. We would love for you to follow us there too!